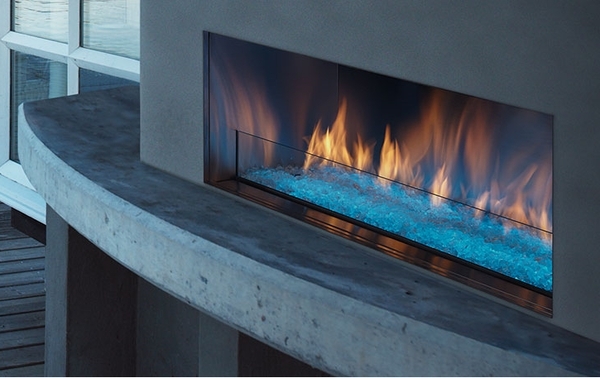 With a maximum BTU output ranging from 40,001 to 45,000, you'll enjoy the powerful and attractive Monessen Outdoor Lifestyles Palazzo 48 Inch Outdoor Ventless Linear Gas Fireplace in comfort. You'll also enjoy it with ease, as the industry first power screen is designed with opening technology that is aided by the use of a button. The simplicity of operation is complemented with a sleek design; the modern stainless steel interior amplifies your flame presentation.